The word “ballet” comes from the Italian word “ballare” meaning “to dance.” Ballet first developed during the 15th century as a form of entertainment for Italian Royalty. Formal ballet training began in 1661 when the French King Louis XI5 established the Royal Academy of Dance. Officially ballet vocabulary and terminology is rooted in the French language and many of the original steps and positions remain the same today. 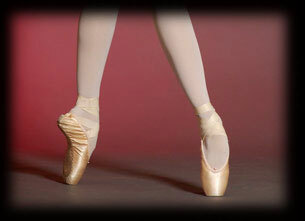 Ballet is a very structured class focusing on posture, strength and flexibility. The class includes a warm up at the barre, centre work, progressions across the floor and choreography to finish.